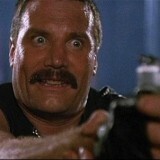 “I eat Green Berets for breakfast. And right now, I’m very hungry!” – Arnold gets very Arnold in Commando (1985). When it comes to action films in the ’80s, Arnold is royalty and while Commando sits directly inbetween Red Sonja and Raw Deal but if you go a step further each way, it’s right there in the middle of Terminator and Predator. The film itself is a pretty standard dad with elite military training goes to fight a small army that kidnapped his daughter kind of tale but it’s so full of weapons, mayhem and action that you can’t help love it. 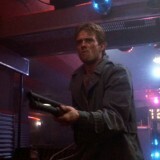 It also has the most iconic bad guy EVER and is fully-loaded with excellent quotes. This one maybe isn’t the best of them but we love us some Bill Duke so what are you gonna do? 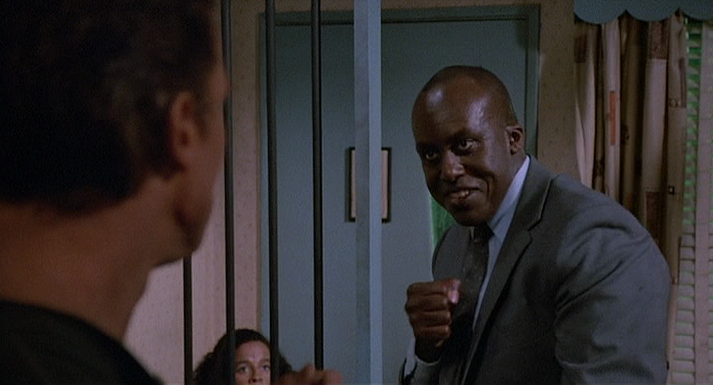 Bill Duke as green beret, Cooke. 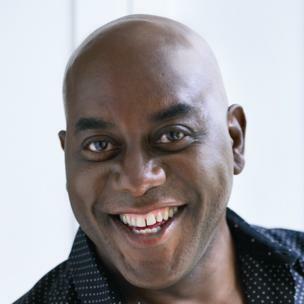 That’s a photo of tv presenter Ainsley Harriet! Never seen them in the same room though have you…. hmmmm!